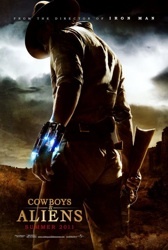 Patrick and JB talk cowboys, aliens and Cowboys & Aliens. WOW..it is the perfect film with great story. I really enjoyed it. The cast are all great, some nice character work from Clancy Brown and Keith Carradine.